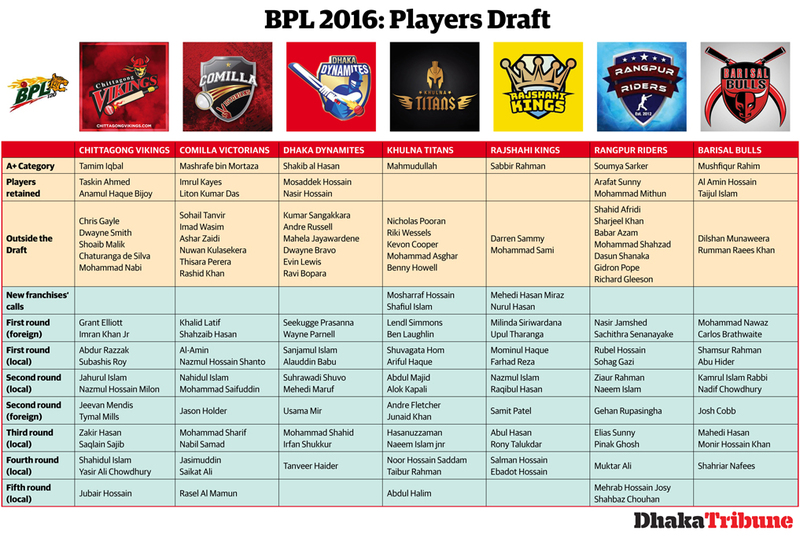 Khulna Titans & Rajshahi Kings added as the new team in BPL 2016. Sad news for Sylhet, as they can’t joining in this tournament. Here we provide complete players squad of all participating teams in upcoming Bangladesh Premier League 2017.